– This pattern is like a dressed-up, tailored version of a sweatshirt. It’s perfect for cool days of playtime outside! 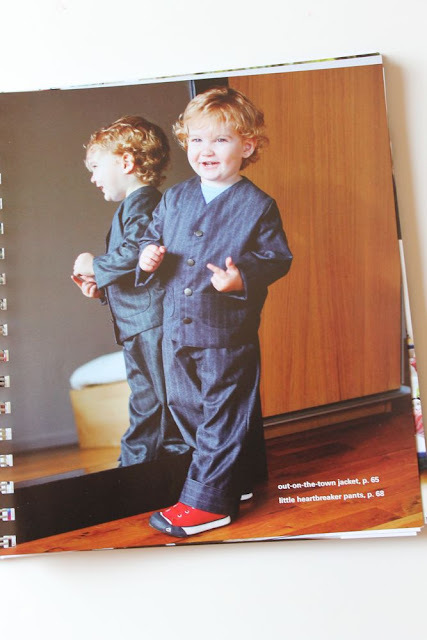 – This pattern requires 2/3 yard of fabric for the 12-18 month size and goes up to 1 1/4 yard for the size 6/7. – The fabrics recommended for this pullover are all about comfort: French terry, interlock, or any other medium-weight knit fabric with at least 30% stretch. – You will also need coordinating thread, a scrap of interfacing, and optional cording for the drawstring (though you can also just use the leftovers from your shirt fabrics!). – This is a beginner-level pattern, so jump right in! Stacey made a striped blue and brown version, and substituted the drawstring for a waistband with a button – how fun! This is the perfect top for back-to-school; make it in a lighter knit for fall or a heavier fleece for winter! Stacey has done it again! For this month’s sewalong the pattern is the Luka hoodie, an adorable jacket for when the weather turns chilly. – This hoodie is designed for comfort and fun. 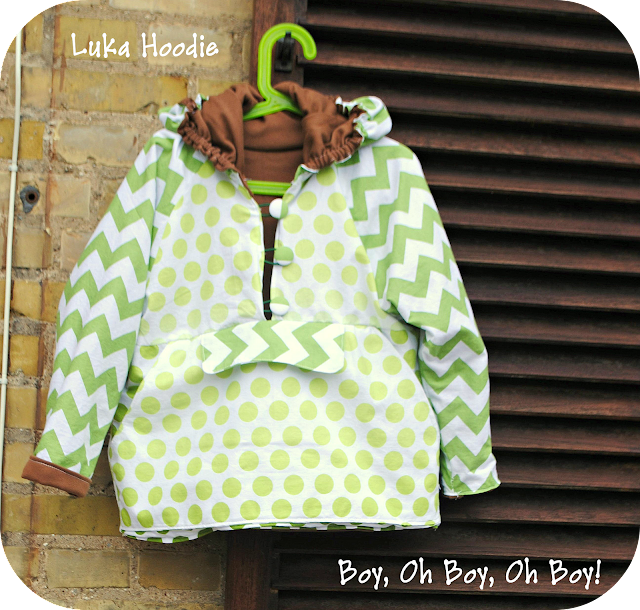 The soft lining will keep your little guy cozy, and the secret pocket helps him hide away his treasures! – You will need 3 3/8 yards of fabric total for the size 2/3, and 4 yards total for the size 6/7. – You will also need 3/8″ wide elastic, lightweight interfacing, 3 buttons, a point turner, elastic cording or elastic hair bands (optional). – This is an advanced level sewing pattern. Her son calls it the “dinosaur” hoodie, and isn’t that just about right? So cute! In her post Stacey gives some tips for a few of the trickier aspects of the pattern, so be sure to check it out. This pattern calls for the outer fabrics to be made from any light to medium weight woven fabrics like cotton, linen, or baby wale corduroy. The lining should be something soft and cozy without a lot of stretch, such as flannel, fleece, or a stable knit (with 10% stretch or less). Thanks so much for sewing and reading along with us! 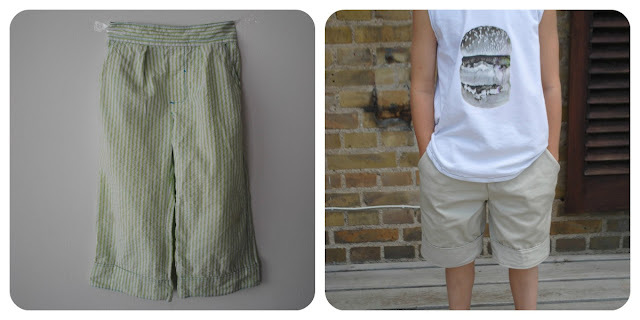 Don’t forget to stop by the Sewing for Boys Flickr pool to see what everyone else out there in the world has been making from the book! Welcome to the web companion for Sewing for Boys. Please visit again soon for for information on trunk shows, workshops, sew-alongs, tutorials, book signings, and announcements.